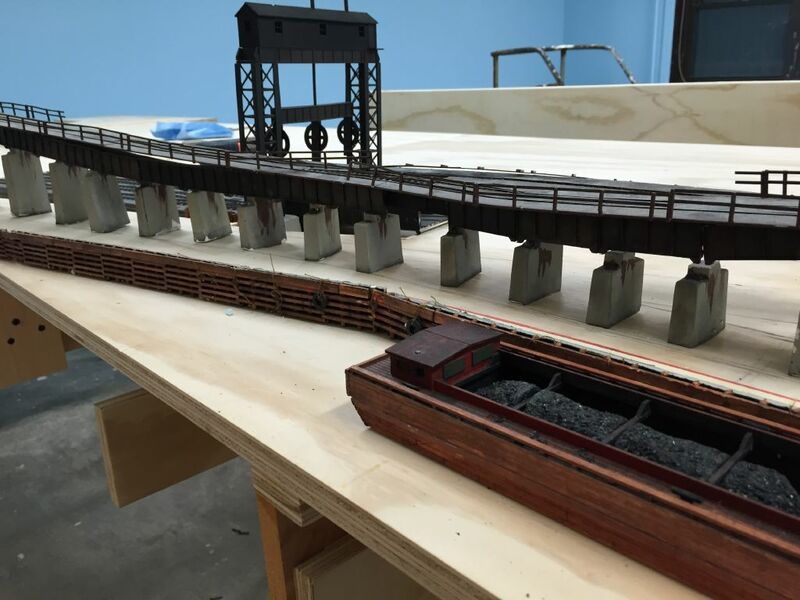 A view of the coal barge, dumper kick back track and car float apron. We were able to reuse some of the detail parts from the old Asbury Park layout. This is jus a temporary fitting to see how it will look later.